The Quick-Start Guide to the One-Page Grant Proposal! 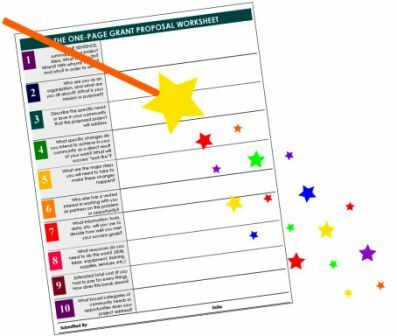 "The Quick-Start Guide to the One-Page Grant Proposal" ... the first step toward transforming your good ideas into great grant-funded projects! 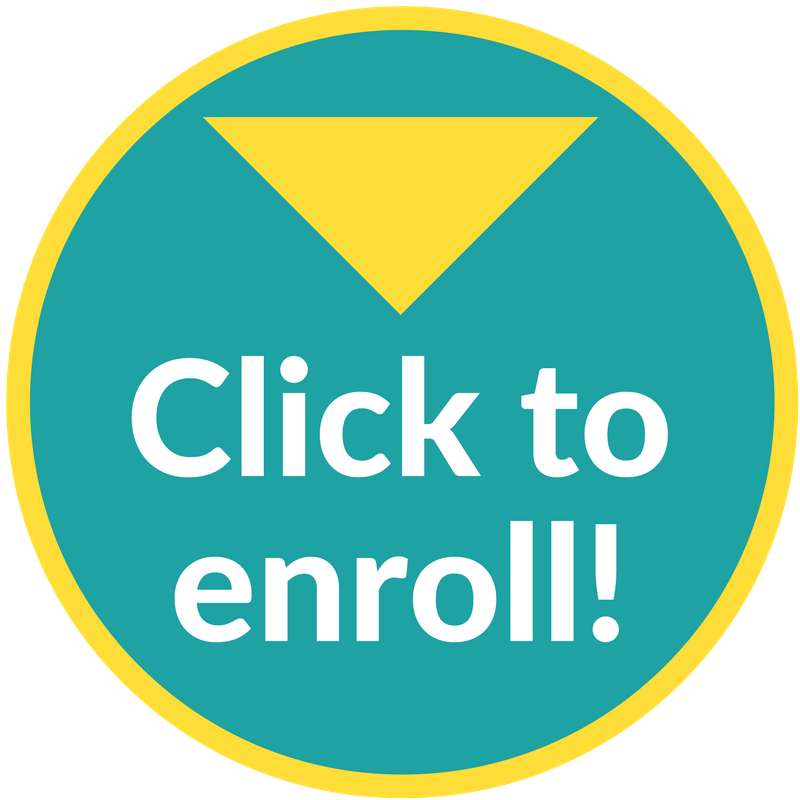 Your free mini-course includes three lively, interactive training videos of about 45 minutes each - that you can watch any time, on your own schedule - as often as you like! As a former instructor of prof dev, educational sales, and writer, I am absolutely thrilled to find Maryn's generous, colorful, engaging, relevant, clever, imaginative programs! First, her manner is lively and personable. No wasted motion or words! Yet, lively and thorough. She's polished in a way that glitters as her Magic Want stars -- so her personal image is consistent with the website. The use of images such as hands (with 5 fingers in research section), frames and other easily-grasped metaphors helps the material to sink in. The copy on slides and video screen is tight (no waste) yet leaves lots of white space so we don't get overwhelmed. So ... the pace and pictures and passion for the subject leaves me actually looking forward instead of feeling overwhelmed. The 1-pager is a WoW winner in that you have a versatile tool for focusing, clarifying, sharing and mastering a skill that Maryn must've taken hours to master. I wanted a worksheet for clarifying steps to help a nonprofit that needs funding. I must've used good search terms :) for up popped Maryn's 1 page. In an era of techie overwhelm, GrantsMagic delivers--magically! Thanks for your course - that's really helpful for me. I know - who loves the ''grants" process? - Well, it has to be done so we better love it or have someone on your team who does. I really appreciate finding Maryn and GrantsMagic U - every day you learn something new is a good day! Grants are like auditioning or going on an interview - you are not going to get them all but you can learn from them and get better! Thank you Maryn for sharing your experience and expertise and delivering in an easy-to-understand way - even for that "novice" and "do-it-all-director" that I am! Identifying funding sources is very helpful and will be a great asset in our search for funders. The webinar is excellent. She is easy to listen to, well organized and inspiring. Thank you Maryn. I absolutely love the one page proposal worksheet. I'm anxious to use this tool with an onsite task force to help with the mind-mapping and to address all ten questions on your one-page grant proposal worksheet. With video 3, I discovered I was on the right track. I found that your approach was very similar to what I was doing. I have been concerned that I have been taking too much time doing research. Now, I feel justified in my efforts especially being fairly new to this position. I hope my eventual results using your tool will be brag-worthy! I want to tell other non-profits about this course and the powerful information contained in it. Loved it!! This really simplified preparing the LOI. I can't wait to breakdown the programs I raise funds for and complete the worksheet on each of them. I am impressed with the amount of quality information that Maryn has packed into the little course. Bravo! I really appreciated Maryn's care for detail. She is compassionate for the beginner who does not understand technical language, but kindly reminds the experienced grant-writer of necessary steps for an A+ Winning Proposal. Many insider tips are shared along with diagrams, pictures and power-point presentations which aid the student in grasping new concepts or retaining the information past the lesson presentation. Maryn uses various methods to help the student not only retain the information, but also review and think through applications which aid the student to incorporate the new terminology and concepts into practice. I really enjoyed this course, even though all the material is now covered in a newer version which uses more advanced technology and is much better for the audio and visual senses. This was so worth the time to do. Loved it. The Magic Wand--I am over the moon with joy to have this tool. I write grants for four programs where I work, each distictly different. I am so excited to start putting together the one pager for each one!